The death of Kim Jong Il, seemed to have taken the Western World by surprise. 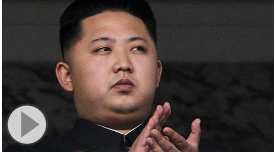 The viel of secrecy over North Korea allowed the North Koreans to pick their time and their messages concerning the death of one leader and the succession of his handpicked replacement. While the West scurries about trying to figure out what will happen to North Korea, the world’s most secretive country moves forward anointing their new leader. The December 23, 2011 Wall Street Journal featured an article: “Kim Ki Nam has one of the toughest jobs in North Korea” (http://online.wsj.com/article/SB10001424052970203686204577114193593219330.html). The lead in the article is “The 82-year-old former professor heads the department in North Korea's ruling party responsible for filling North Koreans' minds with awe, devotion and unswerving respect for the dictatorial Kim dynasty.” No doubt multiple government agencies are now preaching the gospel of Kim Jong Eun (photo source AP via the WSJ). The North Koreans are master propagandists. They have shown their ability to create myths, recast history and seem to be able to mold the thoughts of one of the poorest nations on earth. One of the ways that they have been able to maintain such an ideological grip is because of the ‘lock down’ nature of the society and the government’s almost total control of life north of the 38th parallel. A key take away for PSYOP/MISO is that OPSEC can be a ‘booster shot’ for campaigns. By shielding the target audience from key facts or events, the launch of an influence campaign can be that much more effective. This will be my last post until the week of 9 January 2012. To all my readers – the best to you and yours for the Holiday Season and may 2012 be your best year ever! The principle of Unity of Command is a core tenet of military operations. 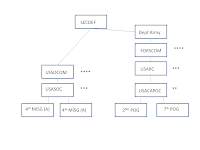 Unity of Command increases accountability, prevents freelancing, improves the flow of information, helps with the coordination of operational efforts, and enhances operational safety. There is no denying that today’s battlefield is unlike those of the past. Afghanistan has evolved throughout the past decade into a mosaic of AOs, each with its own bred of enemy. PSYOP, now MISO is critical to the battle and to the maintenance of a lasting peace. Given the length of the conflict and the amorphous nature of the enemy, not to mention the criticality of the recalcitrant ally, Pakistan, it would seem that DOD should do all it can to organize for success. The diagram at right is my view of the PSYOP/MISO chain of command. To quote Harry Truman, the buck stops at the top, in this case with the Secretary of Defense. To even the most casual of observers this should appear ludicrous. Even if we argue that the MISG and the POG are troop providers, there is no easy way to determine if the forces being provided are trained and ready for the mission at hand. In my view the force needs to be united and united under a single Command. Furthermore, the Branch Proponent as to be the Proponent for entire branch, not just one component or the other. While President Obama may declare the war in Iraq over today (15 December 11), it is not since Iraq has not shown that it is capable of standing on its own. The notion of Afghanistan being self-sufficient after 2014 is also pretty farfetched at this point. Influence operations support will likely be more in demand over time. As yet unnamed conflicts in Africa, Latin America and Asia will surely require PSYOP/information support. This support cannot be developed overnight. 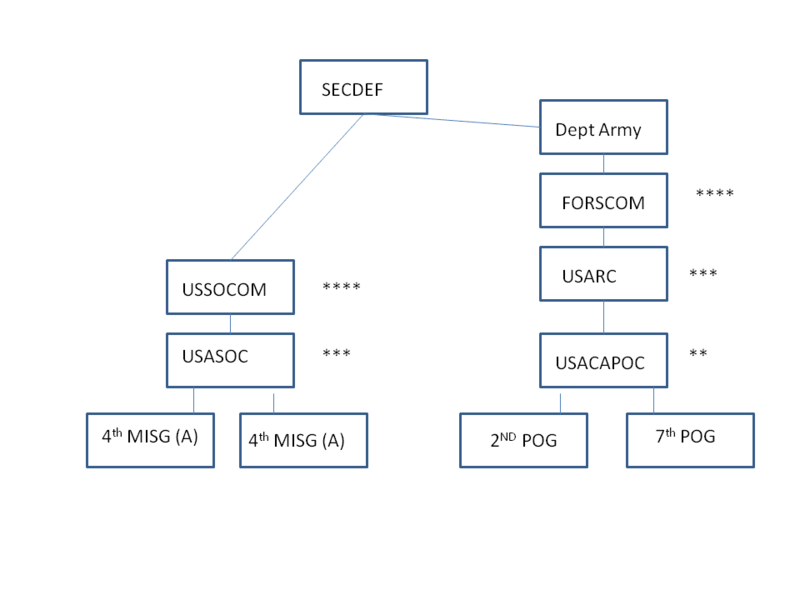 As we stare the budget cuts in the face, it is incumbent on DOD to finally get off the dime and move RC PSYOP back into the SOF world where it belongs. This week, I'm asking for your help. I am interesting learning how y'all view SWC as a proponent. What have they done right? What are they doing wrong? What do you think they should being doing that they are not? 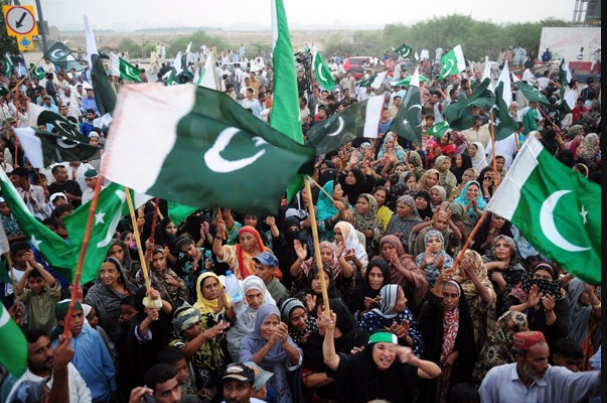 NATO Attack on Pakistan: Taliban PSYOP or Fog of War? If it’s not the fog of war, it certainly is the fog of who can get their facts straight and their story out. A rash of other stories are circulating about whether or not the US will apologize, whether the mil to mil relationship between the two countries will continue and of course what does it portend for the region after the US withdraws the bulk of its forces as forecasted. 2. PAO and MISO/PSYOP must be on the same page. PSYOP may have the ability to provide PAO with input, insight, file footage and/or other help. Of course due care must be taken so that PAO’s integrity and credibility is not compromised. 3. PAO needs to counsel GOs and other senior leaders on what to say and perhaps, more importantly what not to say in fluid and uncertain situations. 4. As shown by the photo from the Washington Post, any excuse will be deemed a good one by our enemies to show popular sentiment against NATO and the US. 5. Bad news, unlike wine and chicken soup, does not get better with age. Speed is of the essence with regard to investigations and getting the word out. 6. Notwithstanding the most neutral of investigations people will believe that they want to so contingency counter propaganda and demonstration plans must be implemented. 7. The strategic importance of Pakistan as an ally mandates the diplomatic channels to include President Obama need to be engaged. Pakistan’s Foreign Minister for example is quoted in the Washington Post as being ready to pull Pakistan’s support of the US war on militancy. Ministers are influenced by diplomats, typically not by military personnel. No matter what the truth is behind the attack, all of us need to consider the lessons to be learned and the ways and means to avoid a similar situation in the future.